Yesterday the highly reliable Kuwaiti daily newspaper Al-Seyassah once again published extraordinary intelligence information regarding the location of Osama bin Laden. Confirming the long-term assessment of former American intelligence and counter-terrorism officers Al-Siyassa reports that Osama bin Laden, Ayman al-Zawahri and five top Al-Qaeda lieutenants have been hiding in the town of Sabzevar, Islamic Republic of Iran for the past five years. This breaking news bulletin has been picked up from Al-Siyassa by MEMRI and Israel's DEBKAfile. 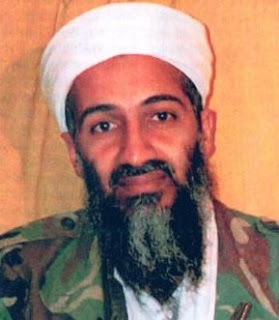 Osama bin Laden's hiding place was pinned down for the first time Monday, June 7, by the Kuwaiti Al-Siyassa Monday, June 7, as the mountainous town of Savzevar in the northeastern Iranian province of Khorasan, 220 km west of Mashhad. He is said to have lived there under Tehran's protection for the last five years, along with Ayman Al-Zawahiri and five other high-ranking al Qaeda leaders. Debkafile's intelligence sources disclosed Monday night that Turkish prime minister Recep Erdogan and his intelligence chiefs are well aware that Bin Laden and Zawahiri are hiding in Iran. The leak to the Kuwait paper was intended to show the Obama administration that the Turkish leader's ties with Iran had grown intense enough for him to be fully in the picture of Iran's secret sanctuary for the authors of the 9/11 attacks on the United States. Savzevar, a small town of about a quarter of a million inhabitants, is connected by road to Tehran and Mashhad and has a small airport. A center for producing grapes and raisins, its location is remote and difficult to access because it is enclosed by lofty mountains and a salt desert 50,000 square kilometers in area. On May 13, American intelligence sources reported in detail that senior al Qaeda operatives living in Iran had been allowed to leave the country through Syria to orchestrate terrorist attacks on American targets. Among them was Saif al-Adel, who is believed to have been assigned with planning an attack on the world soccer games opening in South Africa on June 12. Those sources noted that Saif al-Adel had received his instructions directly from Osama bin Laden and Ayman Zawahiri but did not reveal knowledge of their presence in Iran. Debkafile's counter-terror sources disclose that the purpose of airing their precise whereabouts at this time, aside from implicating the Turkish leader, was first, to warn al Qaeda's leaders that their hideout was blown and they had better move on - which would make them easier to catch; and, second, to nudge US president Barak Obama into a decision to go after them. A rare opportunity may now be building up to capture the world's most wanted terrorist, debkafile's counter-terror sources report. Last December, US Defense Secretary Robert Gates acknowledged the United States has not had any good intelligence on bin Laden's whereabouts in years. Until recently, the elusive master-terrorist was generally thought to have gone to the wilder parts of the Pakistan-Afghanistan border region.